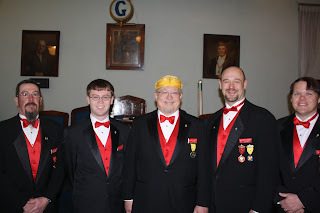 One of the great joys of my Masonic life has been my membership in the Scottish Rite, Northern Masonic Jurisdiction, and more particularly my involvement in the Valley of Danville, where I had the honor of serving as Most Wise Master of the George E. Burow Chapter of Rose Croix. My officers and I are as diverse a bunch of guys as you’ll find, but we’re truly Brothers, and I would rather hang out with them and their families than do nearly anything else in the world. 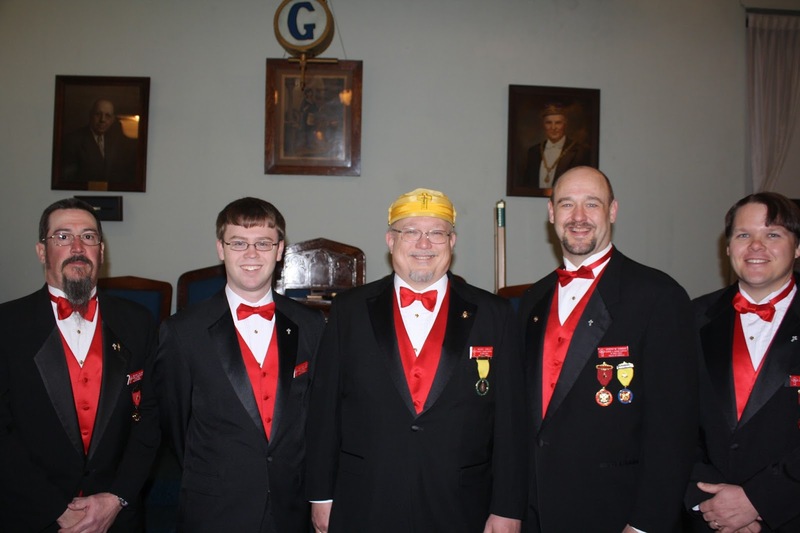 Christopher Both, Bill Sollers, Jeremy Bennett and Joe Dunbar are among my closest friends in Masonry. Joe, who is currently Junior Warden, is as hard working and generous a man as I know. He cooks, works degrees, and volunteers to help, well, everybody. He works hard at memorizing ritual, and his hard work always pays off. Joe is just one of those guys you can always count on for anything. He’s a Freemason to his marrow, and is in it for the long haul. That said, and he would be the first to admit this, speaking in public is not one of his natural gifts. But Masonry has had its effect on him there, too. I like to joke that “yes” is the Grand Masonic Word, and that—as my wife reminds me—the Lost Masonic Word is “no.” I tend to say “yes” to requests from my Brethren, and it keeps me busy. Everyone I know who’s active in the Fraternity has the same problem: we have difficulty balancing work, Craft, and family, because there are only seven days in the week, and we want to do all of it all the time. We try to say “no” more often, but there’s so much to say yes to that we often fail, overcommit, and wind up neglecting ourselves and our families. I can’t remember when I followed the prescription for dividing my time according to the twenty-four-inch gauge. Too often, I don’t seem to be living according to my working tools. And that’s the problem. When I get overcommitted and tired, it’s because I’m saying yes to Masonic things, not to Masonry. Maintaining balance is the lesson of the working tools I received when I became a Mason, and when I say yes to too many things, I might as well say that I don’t care about using my tools properly. Learning the Work, participating in Masonic events, and going to stated meetings are all essential to living a Masonic life, but living a Masonic life necessarily means living a balanced life. 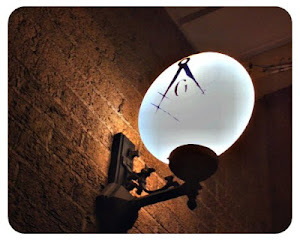 If I would meet on the level and part upon the square, I need to say yes to Masonry itself, not just to the next Masonic thing that comes along. If I’m going out every night, doing good Work and conferring degrees, but neglecting my family or my job, I’m not being a Mason. That’s what Joe Dunbar was talking about that morning when he addressed the class. The rewards of Masonry are sometimes evident, frequently subtle, and occasionally surprising, but in all cases the promise is clear: it makes good men better. What’s left unsaid is that it won’t do so unless those good men say yes to Masonry. Say yes to Masonry, and we become better men; say yes to Masonic things and we just become busier. So my resolution is to imitate the example of my Brother, Joe Dunbar: to build my daily life on the principles of Masonry itself, and to learn when to say “yes” and when to say “no.” Like him, I’m in this for the long haul. What's More Important: Quantity Or Quality?